1. Edge. If a story doesn’t have edge, then it’s just a romance. This is fine – I’m a sucker for a good romance – but I want my paranormal romances to get under my skin. There should be thrills, risks, genuine tension. 2. Romance. It’s paranormal romance, after all. I want a relationship that starts off as just a hint of what it might be, a relationship that develops and grows; a relationship that is under threat so that the reader never quite knows if it’s going to work out until the end. 3. Atmosphere. Writing about tension and fear is very similar to writing about passion: if it’s done well the author uses all the senses and never misses an opportunity to cast that spell. 4. Thrills. If I’m reading about a world of the fantastic then I want to be wowed; I want the author to keep me on the edge of my seat. 5. Heat. Girl meets wereboy. They fall in love and face any obstacles to that love together. They don’t then just hold hands and gaze into each other’s eyes. Not in my books anyway, and not in the books I like to read. My characters are adult and they do a lot more than just holding hands. And shifter fiction highlights this: all those animal urges can make it so much more intense. 6. A world beyond the story. Everything in a story might take place within a single room for all I care, but I’m not going to swallow it unless the characters have pasts and the potential for futures, or if there’s no sense of a wider world outside. 7. Characters that make me care. Whatever kind of stories I read, I look for this, but with romance in particular it’s vital. If I don’t care about the characters then I don’t care about their relationships. 8. Threat. Back to the ‘paranormal’ part: we’re talking werewolves, vampires, ghosts and witches. What’s the point of all that dark magic if it doesn’t scare your pants off. 9. Believability. No matter how outlandish the fantasy element of a story might be, I want to lose myself in it while I’m reading. I don’t want to keep being pulled up short because of inconsistencies or lazy writing. 10. All of the above. Not that I’m demanding or anything. There’s more, of course; and a good story might fall short on some of these points as long as it does really well on the rest of them. What do you think? Am I like you, or do you look for something different? I’d love to hear. 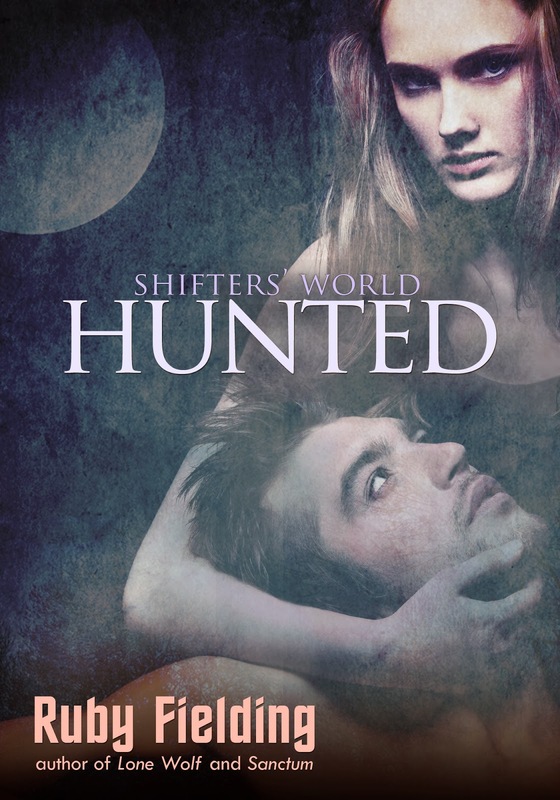 Ruby Fielding’s new shifter novella, Hunted, was published by James Grieve Press on 16th January. Ruby Fielding is a British author, currently living in the heart of a New England forest. She travels widely, and has lived in England, Scotland, the US, France, India and Australia. Wherever she happens to be living, you're likely to find her at the nearest wifi hot spot with her laptop and a large mug of coffee. All the latest news on Ruby's writing and publishing can be found on her website; also, why not join her mailing list, or hook up with her on Facebook? I don't read a lot of romance (that probably doesn't surprise you) but great characters are a must in any story.